Holy Ghost Church, Tiverton, R.I.
For many years, the Church of the Holy Name of Jesus in Providence, Rhode Island, has offered Holy Mass in both the ordinary and extraordinary forms every Sunday and holy day of obligation — the only diocesan parish in the Diocese of Providence to do so. That will soon change, thanks to liturgical liberalism (the good kind). 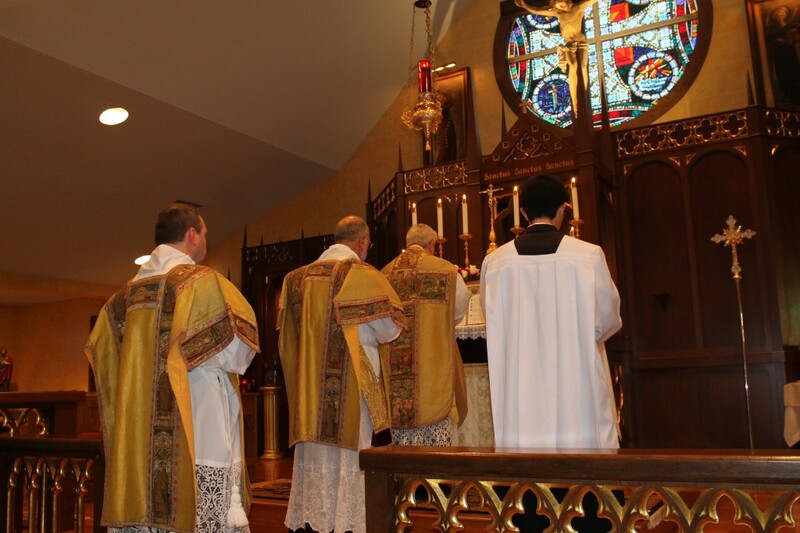 Beginning Sunday, September 4th, the Church of the Holy Ghost in Tiverton will likewise offer the traditional Latin Mass (Missa Cantata) every Sunday, not just on the first Sunday of the month (as has been the case since 2009), as well as on certain holy days (as announced). So, what does this have to do with the new liturgical movement? One connection is the “mutual enrichment” for which Pope Benedict XVI expressed desire in his Letter to the world’s bishops accompanying Summorum Pontificum. To reiterate a point I made at the Sacra Liturgia USA conference last year: the process of mutual enrichment takes place, firstly, not at the level of the Holy See or the national episcopal conferences, but from the “ground up,” in actual liturgical celebrations, to people and communities who have experience worshiping in both the older and newer forms of the Roman Rite. It would be interesting to learn what, exactly, mutual enrichment has meant for parishes like Holy Name and Holy Ghost. But that’s a topic for another day.